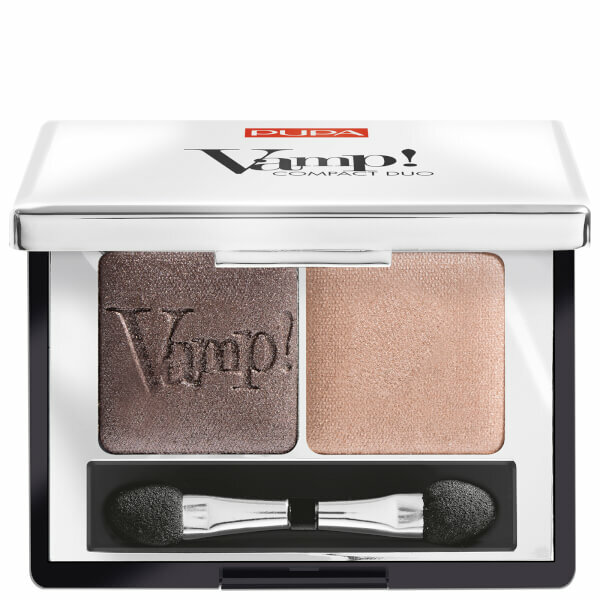 Create subdued or smokey makeup looks with the PUPA Vamp! Compact Eyeshadow Duo in 'Bronze Amber', a carefully curated eyeshadow duo that combines two complementary shades. Creamy and easy-to-blend, each highly pigmented colour delivers a rich finish with long-lasting wear. Use each colour individually or blend together to create a unique eye makeup look. Feels comfortable on the lid. Complete with dual-ended sponge tip applicator.